There’s an old saying, “The more things change, the more things stay the same.” That applies to the golf industry somewhat, but no one can doubt the seismic changes the golf landscape has seen in the past 30 years. 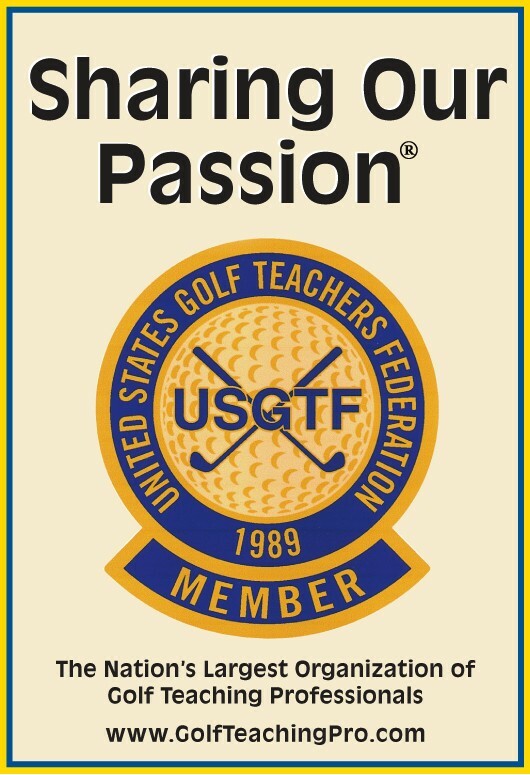 This year, 2019, marks the 30th anniversary of the founding of the United States Golf Teachers Federation. But when we think back to the beginning of 1989, things were markedly different, not only in the golf industry as a whole but also specifically in the golf teaching industry. Golf schools thrived. Nationally recognized schools such as Golf Digest, Roland Stafford, Craft-Zavichas, Ben Sutton, Mt. Snow, United States Golf Academy, and of course, The Florida Golf School and the Illinois Golf School were attended annually by thousands of students from everywhere. The latter two were owned and operated by Geoff Bryant, who was able to successfully enter the golf school industry in the early 1980s with locations such as Club Med Sandpiper in Port St. Lucie, Florida, and Rolling Hills Country Club just down the road in Fort Lauderdale. With the success of those early locations, The Florida Golf School soon expanded to other destinations such as Daytona Beach, Clearwater, Lehigh Acres and Pompano Beach. Summer sessions were held at the Eagle Ridge Resort in Galena, Illinois. Golf in 1989 was different than what it is in 2019. Wooden-headed drivers were still the norm and balata golf balls were played by tour players. Metal spikes still click-clacked on cart paths, and the back tees at most courses topped out at around 6,800 yards. Greg Norman, Nick Faldo, Seve Ballesteros and Curtis Strange ruled the professional game with drives that averaged in the 260s-range. Going for a par-5 in two shots was a big deal, and most of the time a fairway wood was required. Greens at tour events usually read around 9.5 on the Stimpmeter, and major championship events featured greens that rolled at a lighting pace, 11 or so. Pebble Beach could still be played for around $150, and premium golf balls cost around $2 per ball or $24 per dozen. Getting back to the teaching industry, while golf schools were thriving, local professionals were doling out individual lessons, but most of the time students were getting a teacher who had not been properly trained – if he was even trained at all. And note that the use of the pronoun “he” is not an accident in that last sentence. Women professionals were few and far between unless they belonged to the LPGA. The system back then was that the head professional was supposed to help his assistants learn to teach, but in fact most would-be professionals were tossed out on the lesson tee and expected to figure it out for themselves. In this backdrop, Bryant had a difficult time finding the qualified and personable teachers that he sought. So in 1989, he ran an ad in Golf Digest that said, “Learn to teach golf. The profession of a lifetime.” In September of that year, 12 candidates showed up at Lehigh Acres to learn the craft of teaching the game, and in January 1990 over 40 came. This signaled an historic sea change in the way the golf teaching industry would conduct itself, and golf teacher training and education would never be the same. Those early classes featured a multitude of examiners with a wide array of teaching experience, imparting their wisdom to their charges. In turn, the newly-minted members returned home and successfully started their own teaching businesses. This change was so profound that at a PGA of America national meeting in the early 1990s, they realized that the USGTF had usurped its position as the “leader in the field of golf instruction,” and changed the way its members were certified as a direct result. The dawn of the internet age in the late 1990s and early 2000s meant that online learning was taking place at colleges and universities, and the USGTF soon expanded into this area when it began offering Associate Member courses through online training. Looking into the future, plans are in the works to offer webinar-based certification classes and the ability of USGTF Master Teaching Professionals to certify members at their home facilities. Golf itself today would be unrecognizable in many ways to golfers back in 1989. Small wooden-headed drivers have been replaced by 460cc titanium and composite drivers; metal spikes replaced by state-of-the-art plastic spikes that actually offer better traction; balata balls replaced by multi-material rocket-ship golf balls; par-5 snow routinely reached in two by professionals, and greens that Stimpmeter at 10-11 for everyday play at most top-end facilities. Rules are different in 2019, including taking drops from knee-height and leaving the flagstick in the hole while putting. But even with these changes, some things do remain the same. Players of every ability want to improve. The challenge of getting a 1.68” ball into a 4 ¼” hole remains the same, even if the color of the ball is not always white anymore. Getting out into the fresh air and sunshine with friends is still sought after, even if occasionally a few times during the round one or more of the foursome have to check their smart phones. But most of all, golf remains the enjoyable challenge that it has always been. And that part is sure to remain a constant for as long as the game is played. Next The Three Swings of Wright Balance: Which One Are You?